If you have been making something for 70 years, you probably know your craft. 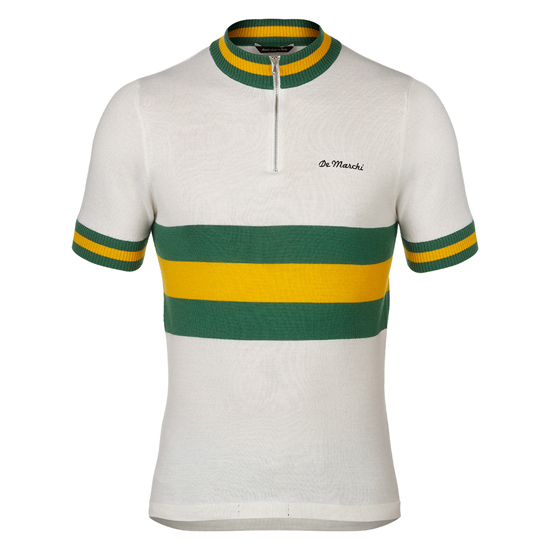 And craft is what you get with these De Marchi vintage-style cycling jerseys. Yes, the company has been producing cycling shirts since 1946 and have been worn by famous names in the sport throughout the years, including the likes of Fausto Coppi, Gino Bartali, Luison Bobet, Eddy Merckx, Felice Gimondi, Francesco Moser, Beppe Saronni and Marino Basso. These days, De Marchi is known as a premium heritage brand, with an archive of some stunning cycling to gear to call upon, which would work both for the hip cyclist who fancies some Merino for the weekend ride and for general leisurewear too. 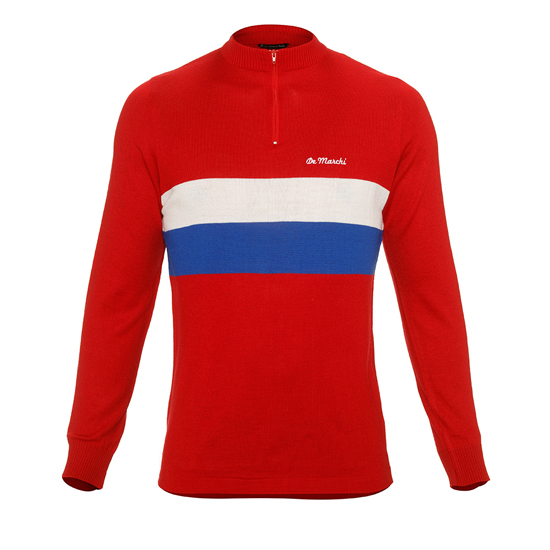 Do have a look at the site if you have five minutes as it is a feat for the yes, especially if you have an eye for classic cycling tops. I have picked out a few of my personal favourites, but yours might be completely different! 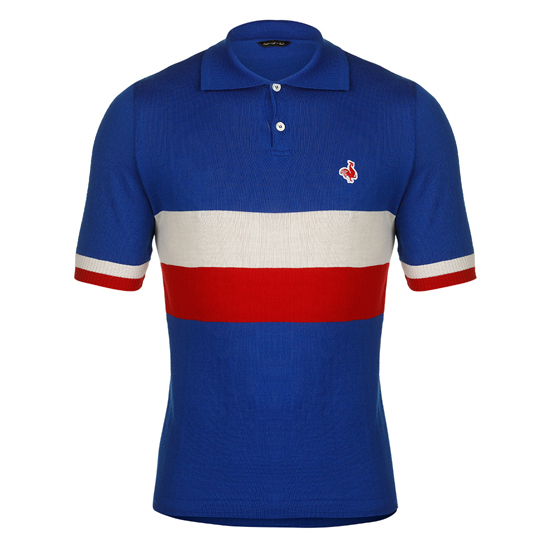 At the top of the page is the 1954 France replica jersey, inspired by the one worn by Jacques Anquetil and like all the range, produced from a Merino wool blend. It sells for €130. 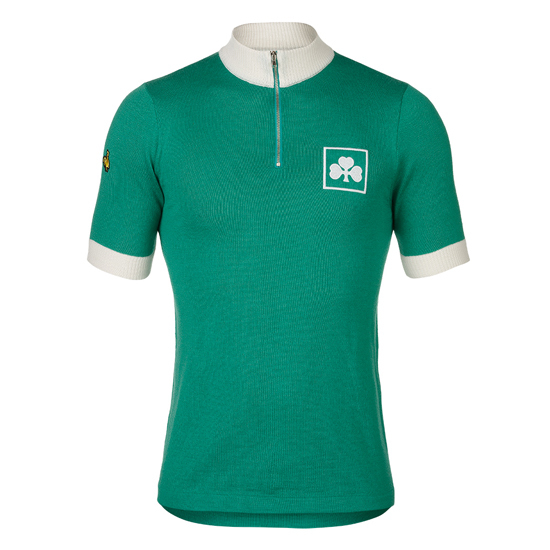 Beyond that is the 1973 Denmark Merino Long Sleeve Jersey, which sells for €180, the 1982 Ireland Jersey for €130 and the 1972 Australia Jersey, which is also €130. If you want to check out all the Heritage range, you can view it all at the De Marchi website.